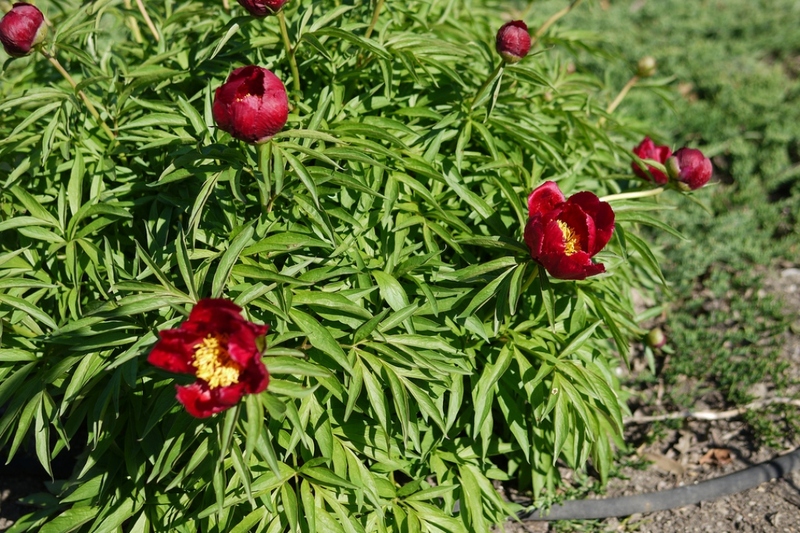 Chinese peony (Paeonia lactiflora): growing, planting, caring. Paeonias from China, with large pink or white flowers. 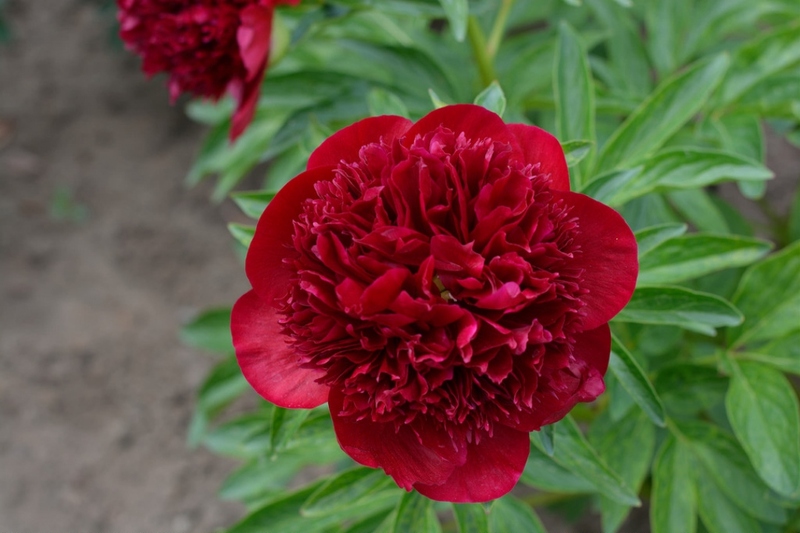 Paeonia lactiflora - the Chinese peony or common garden peony - is native to central and eastern Asia from eastern Tibet across northern China to eastern Siberia. 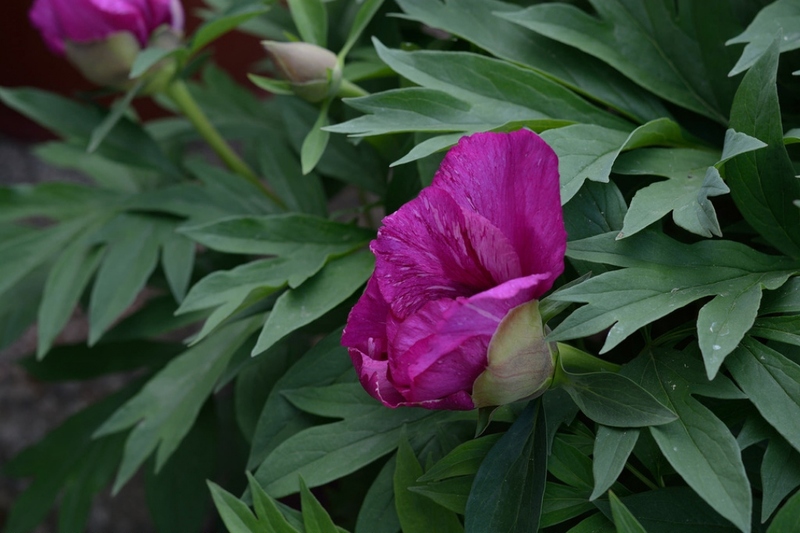 It is 50–70 cm (20–28 in) tall and broad, with 9-lobed leaves 20–40 cm (8–16 in) long, and large cup- or bowl-shaped flowers 8–16 cm (3–6 in) in diameter, with 5–10 white, pink, or crimson petals and yellow stamens. 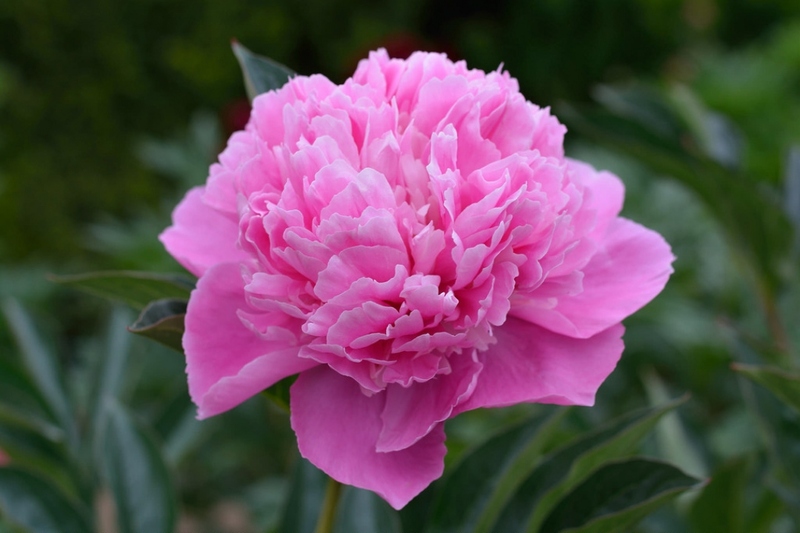 There are several hundred selected cultivars in a range of colours, sizes and forms. 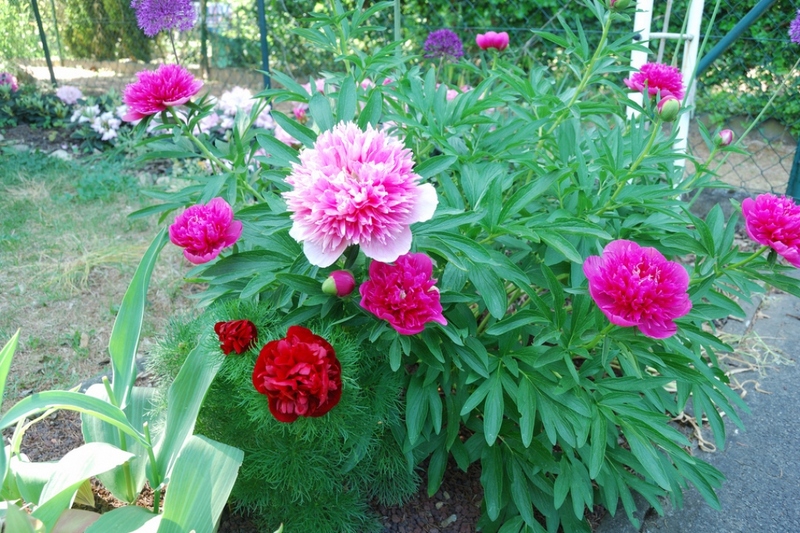 Many have double flowers, and many colors are available, from pure milk white, to pink, rose, and near red, along with single to fully double forms. 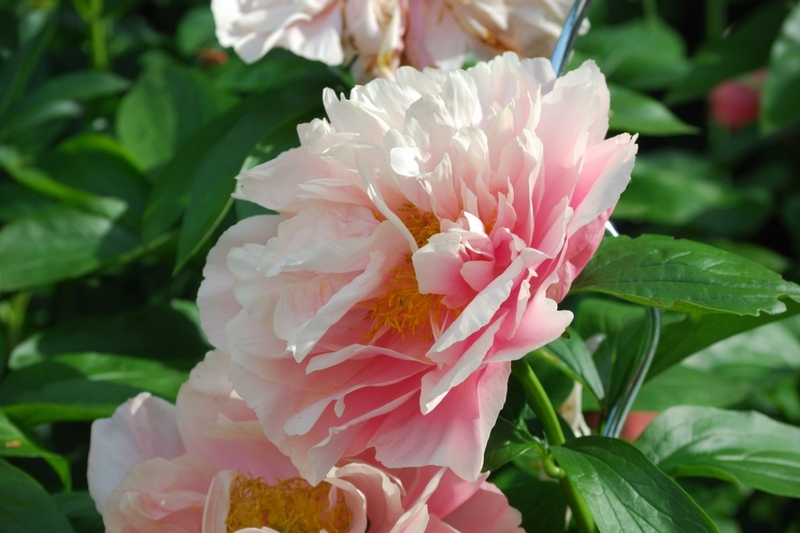 Some popular cultivars are ’Bowl of Beauty' - double, pink & cream flowers - ‘Duchesse de Nemours' - double white flowers - and 'Sarah Bernhardt' - double pink flowers.